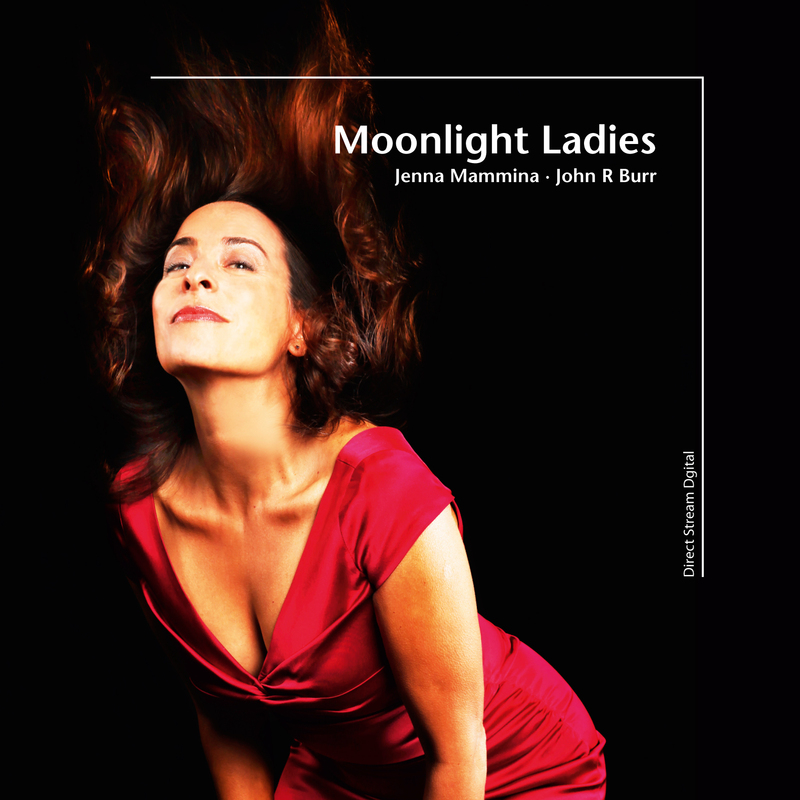 Jenna Mammina and John R. Burr collaborate on another fabulous set of classic (mostly James Taylor) songs. When Jenna Mammina sings, you don’t notice all the things she’s doing right. That’s the way it should be. She’s got you in the trance, where the song just seems to flow as if nothing else was possible except the way she’s singing it. On Joni Mitchell’s sophisticated classic, “Free Man in Paris,” Burr starts off with harmonic colors and a subtle pulse. Jenna brings the familiar tale of a dream-merchant whose worldly success has made him wistful for a simpler time of life. The chorus, the only part of the song that repeats, gets a moment of sly interpretation from Jenna. You’ll know when you hear it. “Mexico,” a James Taylor favorite, opens with Jenna’s unaccompanied voice. John R. Burr’s piano enters effortlessly and provides that elusive but charming balance between propulsion and color. Hmm. So far, Jenna and John R. have stepped up tot he works of two of the most sophisticated singer-songwriters of the late 20th century. Aren’t these two afraid of anything? Well, no. Burr’s rollicking intro kicks off “Summer’s Here” with that “hundred yards from the New Orleans city limits” feel. Jenna steps in with a witty interpretation, matching the energy of John R.’s playing without giving an inch on her clever narrative phrasing. Whew! Beautiful. Yep, they did it. Jenna Mammina and John R. Burr showed up for work that day and left an unforgettable, likable, lovable recording of exactly how they spent their time. Recorded in DSD256 and mixed through analog console to DSD256.